Visit the website for our nearby city of Murrieta to learn where to go and who to contact regarding city events and issues. 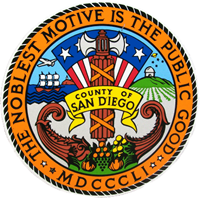 Visit the San Diego County website for information on everything from Agriculture to UCSD Cooperative Extension courses and everything in between. One of the most complete resources for San Diego residents and visitors! To uphold and protect public trust through extraordinary public service, careful stewardship of public funds, transparency and accessibility,employee empowerment, innovation, collaboration, effectiveness, and leadership in local government. 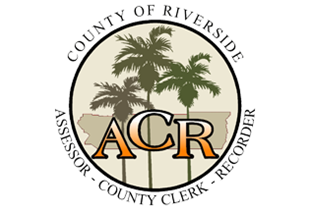 Riverside County, created in 1893 from portions of San Bernardino and San Diego counties, is the fourth largest in the state of California covering over 7,300 square miles. 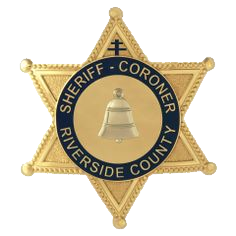 The law enforcement professionals of the Riverside County Sheriff's Department, with a staff of over 4,000 dedicated men and women, cover this expanse of southern California and are dedicated to serving the citizens of its communities with integrity, professionalism, leadership and loyalty. 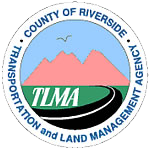 The County of Riverside Transportation & Land Management Agency (TLMA) is the umbrella agency for six county departments. They are the Planning Department, Building & Safety Department, Transportation Department, Code Enforcement Department, Environmental Programs Department and the Administrative Services Department. In total, TLMA employs more than 600 dedicated public servants who strive to meet the needs of the residents of Riverside County. Murrieta Valley Unified School District educates 22,700 students from transitional kindergarten through high school with an excellent, comprehensive academic program. Students participate in highly acclaimed visual and performing arts programs, championship interscholastic athletic programs and nationally recognized student activities programs. The student-centered educational program emphasizes a commitment to the academic success of each and every student. MVUSD is consistently one of the highest performing districts in Riverside County. High test scores, highly qualified teachers, staff dedicated to serving students and active parent and community involvement place Murrieta in the upper echelon of school districts. The Santa Margarita Ecological Reserve (SMER), established in 1962, provides protected sites for research and education of southern California ecosystems. The reserve lies on the Riverside/San Diego county line between Temecula and Fallbrook. The 4344-acre reserve encompasses a 5-mile reach of the Santa Margarita River, the longest protected coastal river in southern California and a variety of agricultural and upland habitats. The reserve maintains classrooms and laboratories, and databases. Please note that "any river, stream or lake" includes those that are episodic (they are dry for periods of time) as well as those that are perennial (they flow year round). This includes ephemeral streams, desert washes, and watercourses with a subsurface flow. If may also apply to work undertaken within the flood plain of a body of water. For more information, please contact the Department of Fish and Wildlife.